Every Fourth of July my family and I go up to visit my cousins and this year was by far the best experience! Now that my cousin and I are older we can go out and kinda do our own thing which is pretty awesome. The cousin I'm talking about is Penny from Faith Has Made. We are both really into photography and blogging so besides sleeping, obsessing over Merlin and watching movies, we spent our time taking cool pictures of her adorable animals and our adorable little sisters. 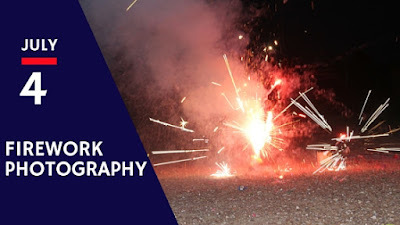 On the Fourth of July I thought that I would do some research on Pinterest to see the best way to take firework pictures and most of the blog posts were no help at all so we ended up experimenting to see what settings would make for the best firework pictures and I am going to share our secrets with you. Before it got dark we did little confetti popper things, I have no idea what they are really called so just work with me here. This is my adorable younger cousin and this was about the only decent picture that I got of the confetti things and I wish I could show you her face because it is priceless! The settings I used to get this picture were 1/400 shutter speed, an ISO of 3200, and a 6.3 aperture on manual mode with continuous shooting. That kid with the blue dot for a head is my brother. 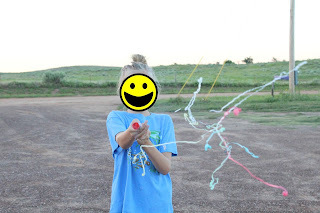 After it got dark and we were waiting for the moms to come outside we did sparklers. This is the best picture I got of our sparkler extravaganza. 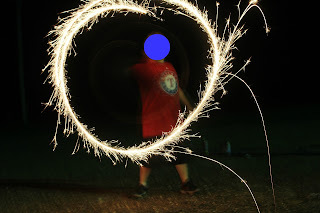 I set my camera to 1" shutter speed, 400 ISO, and 4.5 aperture on shutter priority with continuous shooting. Since that picture of my brother turned out way better than I expected I put the camera on a tripod and attempted to take a tumblr picture of my self using the timer. It was a fail. I used the same setting as above... I think but I don't think you would really care to know the settings of this picture anyway since it didn't turn out good. I'm definitely not a pro so taking pictures of the fireworks in the air was kinda hard so most of the pictures I took were when they were just shooting off the ground. I like this picture because it reminds me of a galaxy. The camera settings used for this picture were 1/320 shutter speed, 5.6 aperture, and 800 ISO on manual mode with continuous shooting. 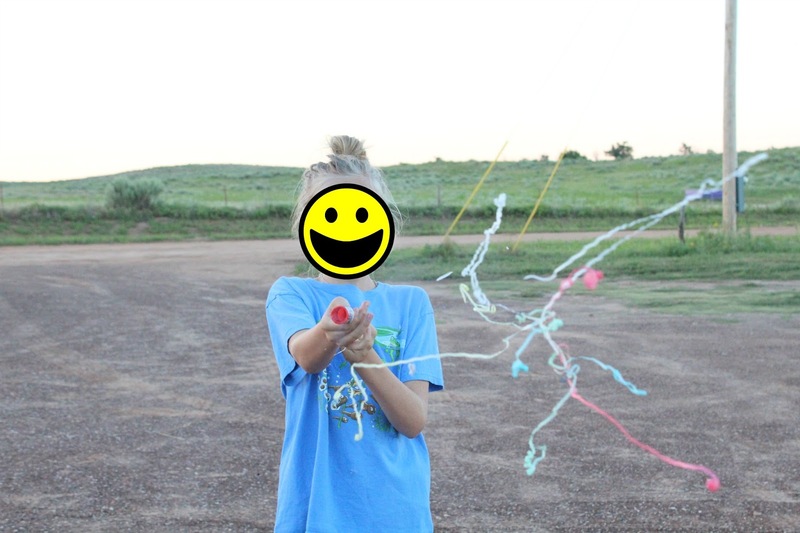 This is the picture I used in the blog title picture header thing and I just thought it was cool. Some of the sparks coming off look like they are edited but I can promise you that I am too lazy to edit these. The settings used were 1/50 shutter speed, 5.0 aperture, and 800 ISO on manual mode with continuous shooting. This pictures looks like some kind of epic explosion out of a movie and it actually was pretty epic. My sister thought it would be a good idea to wrap fireworks in fireworks and so she did. If you are a child don't try this at home. I used a 1/50 shutter speed, 5.0 aperture, and an ISO of 800 on manual mode with continuous shooting. This picture is pretty cool because you can see the two different colors. The settings used were 1/1600 shutter speed, 6.3 aperture, and an ISO of 3200 on manual mode with continuous shooting. This picture is cool because of all of the different firework elements that are featured. I used a shutter speed of 1/320, an aperture of 5.6, and an ISO of 800. This is the last picture thought I would show and I don't know why I like it.My shutter speed for this photo was 1/250, aperture of 6.3, and ISO of 6400 on manual mode with continuous shooting.